In Desperate Need of Advice & Opinions! 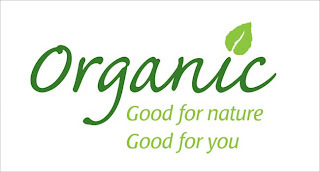 For the past year now I have been transitioning the Organ household to all Organic/Natural food and products. There are a few products that no matter how much research I do or how many different products I try, I just can't find one that stands up to the old-traditional products. I don't want to have to resort back to using harmful/non-organic products, but I'm just about to that point. So I am hoping to get some good suggestions and much needed guidance on a few products. 1. Dishwasher Detergent: I have tried a couple different brands and have not had any luck. The detergents wash off all the chunks of food, but they leave a nasty & cloudy film on the dishes (especially the silverware & the plates). It is absolutely disgusting. I have to wash everything by hand before we have company over. It is such a pain! 3. Laundry Detergent: Like the dishwasher detergent & deodorant, I have tried a few brands. Every detergent that I have tried cleans perfectly fine. My problem with the laundry detergent is about the smell. Once I have washed & dried clothes they smell "clean," but the don't smell "fresh." After wearing the clothes for awhile they almost have a stale smell. I don't need something to smell like "passion flower-lavender-morning breeze-baby powder" or what ever the most popular scent of the hour is, I just want it to smell fresh. 4. Shampoo & Conditioner: The shampoo & conditioner that I am currently using I am happy with, but not ecstatic about. So if anyone is using an organic shampoo & conditioner that you just can't live without please let me know. I listed the products in order of importance. So I am depending on those of you that read this blog (all 3 of you) to give me you best advice on the products I am wondering about. Please help, I am desperate!!! This morning Mike and I participated in the South Nash Dash. It is a local 5K race that promotes sense of community in South Nashville or Brentioch (as some may know it). We were desperately hoping that the rain would hold off until after the race and we got lucky. The rain stopped about 30 minutes before the race and it didn't start up again until were were leaving. We took this picture right before the race started. Poor Mike had been up all night due to food poisoning (not my cooking, he ate meat and a local restaurant:), but like a trooper he ran the race anyway. You can totally see in his eyes how drained he was from the last 12 hours of being sick. We both did really well. 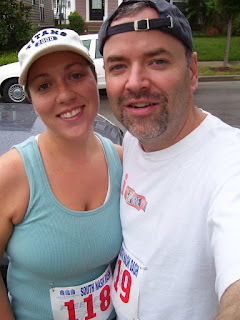 Despite Mike's food born illness, he ran it in a flat 27:00 minutes. I was able to run the 3.1 miles in 26:22. I am very proud of my time because the last 5K that I ran I finished in about 35 minutes. What a great way to start off the weekend. We are already looking forward to the upcoming 5K races. This past Saturday was "Date Night." Mike and I decided we wanted to choose a restaurant that neither of us had ever eaten. Friends of ours had told us about Cha Chah and we thought this would be a good night to try it. Let me just say...AMAZING! Cha Chah is a tapas bar, which is basically a restaurant that serves Spanish appetizers. So the premise of a tapas bar/restaurant is to order several appetizers as opposed to one large entree. Not only was the food great, they also let us sample 5 or 6 different wines before deciding on one. If you decide to visit Cha Chah and the weather is nice ask to sit on their back patio. Our friends, Brad & Rebekah, told us about this request. Mike and I were the only two on the back patio until our dessert came. It made for a great date night! We also ordered the Buttermilk Currant Bread Pudding for desert. It looked so good that we started eating it before I realized that I didn't get a picture. We loved Cha Chah! We will definitely be going back to try other things on the menu. Go Tennessee Titans! The last couple of years I have really come to love & appreciate the game of football. I think my love for the sport has grown primarily because we have co-owned a two-seat PSL with Mike's brother, Phil. Since we share the PSL, that means we have to split & share the tickets for each of the games . Luckily this year the man who owns the PSL next to us decided to sell his seats. Giving us a total of 4 seats! Now Phil owns 2 seats & we own 2 seats. I am so excited that Mike & I will have tickets for every home game! Thursday night the Tennessee Titans played the Green Bay Packers in the last pre-season game of the season. This was the first game Mike & I have been able to make it to this year. Although I found this game a little boring (it's a pre-season game, low attendance=low energy) we still had a great time. Phil & Amy were out of town, so our friends Kyle & Janna took their seats. Here are a couple pictures Mike snapped at the game. This is a picture of a guy who was sitting a few rows in front of us. Once we spotted him Kyle told us that he knows this guy and this is how he always wears his hair. Karina, I'm thinking this should be Rad's next hairdo! I recently came across an old article that I had torn out and saved from Real Simple Magazine (September 2006). I couldn't remember why it seemed so special until I started thumbing through the four or five pages. 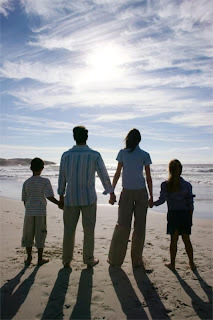 The article is full of 29 ideas to help bring your family closer together. Lots of the ideas are great for families with children, and even though we don't have children yet I hope to store some of these ideas away to use later. I am not going to share all 29 ideas, but I will share a few that I think are great. 1. Have the Early-Bird Special: Change the evening-meal routine by serving breakfast for dinner every Friday night. Wear pajamas to the table for the full effect. 2. Double the Fun: Commemorate half-birthdays (six months after the actual birthday): Serve half a cake, purchase a small gift for the honoree, and give the half-birthday boy or girl the royal treatment for half a day. 3. Play "Hooky": Surprise your kids once a year by taking a day off and keeping them out of school. Then hang out together playing games, watching movies, or baking cookies. 4. Volunteer Together: Help out somewhere as a family once a year or even once a month. Choose a day that has special meaning only for your family-rather than a holiday like Thanksgiving or Christmas- so you'll be serving during a time when few others are and more help is needed. 5. Stage a Camp-In: Spread out sleeping bags in the living room, light a fire in the fireplace, cook up s'mores, and tell ghost stories by flashlight. 6. Archival Quality: Create a time capsule on the day the newest family member is born: Fill it with that day's newspaper, a number one CD, a best-selling book, and a celebrity tabloid. Pass along the capsule when the child graduates from high school. 7. Hot Topics: Place a jar in the middle of the dinner table and fill it with conversation starters written on strips of paper. Each night a family member can take one out and read it to the group. 8. Sponsor a Graduation Trip: Take each child or grandchild on a high school graduation trip of his or her choice, for some one-on-one time with you before the graduate heads off on the next adventure. 9. Winter Wonderland: (I LOVE this idea if you are lucky enough to live someplace where it is guaranteed that it will snow) Buy and wrap a "first snowfall" gift every autumn and leave it in a hall closet. When your children wake up to find a snow-covered yard, the day becomes even more of a celebration. Sunday night all the Life Group girls got to go out for a nice dinner while the men watched football and kept the kiddos. We all look forward to these nights so we can get dressed up, enjoy a nice meal and have uninterrupted girl talk. Each time we have a girls night we usually try to eat at a locally-owned, non-chain, fun-trendy restaurant. Sunday we ate at PM Restaurant. The menu at PM is Asian inspired and they also have a full sushi bar. The food was amazing and so were the drinks. If you go you have to get the Passion Fruit Gingerale (non-alcoholic), especially if you are not a big drinker. I will definitely be taking Mike to PM sometime soon! Thanks guys for letting the ladies have a great night out.